The International Association for the Study of Lung Cancer thanks all individuals who have submitted abstracts for the IASLC 2019 World Conference on Lung Cancer. Click here to view the Abstract Submission Guidelines. Tables, images and graphs must be uploaded in GIF, JPEG, JPG or PNG format at 300 dpi and 100% size. Any higher resolution is acceptable. The abstract title must not exceed 125 characters in length; this includes spaces. ALL abstract authors are expected to disclose to the program audience any/all relevant financial relationships related to the content of their presentation. The author must disclose all entities producing, marketing, re-selling, or distributing health care goods or services consumed by, or used on, patients, with which the author/the author’s spouse/partner have, or have had, a relevant financial relationship within the past 12 months. The ACCME does not consider providers of clinical service directly to patients to be commercial interests. If the author has a relevant financial relationship, please provide the nature of relevant financial relationship as well as the name of company(s). The author warrants that nothing in their presentation is libelous or will infringe the rights of any third party. The author also warrants that for any third party materials incorporated into their presentation, they have obtained all necessary permission from the copyright owner of such material. Upon request Presenter agrees to furnish copies of said permission(s) to IASLC. The author is responsible for all fees, royalties and other charges for the use of materials. The author shall indemnify IASLC for all damages, costs and expenses, including attorneys’ fees, incurred by IASLC as a result of a violation of this paragraph. The author must read and agree to the statements above. The author or an immediate family member of the author in the past ten years received trips, travel, gifts, or other in-kind payments not directly related to research activities, research funding or other funding in an entity having an investment, licensing, or other commercial interest in tobacco or tobacco products. The author or an immediate family member of the author in the past ten years received research funding, honoraria, gifts etc. from an entity funded directly by an entity having an investment, licensing or other commercial interest in tobacco or tobacco products. To apply for Late-Breaking Abstract privileges, you must send an email to wclc2019-abstracts at icsevents.com, indicating your abstract ID number and explaining why data is not yet available and when you expect it to become available on or before April 10, 2019 (23:59 PST). When will the Peer Review and Late-Breaking abstract titles and abstract body be published online? August 21, 2019 (17:00 EST). Does WCLC accept abstracts that have been submitted and presented to a previous Congress (ie, encore abstracts, trials in progress encore abstracts)? Are case reports/case series considered for presentations? Yes, we do allow the submission of case reports. What is the withdraw deadline for regular submissions and late breaking submissions? Presenting author registration deadline is July 5, 2019. Any abstract presenters not registered by this date, their abstracts may be withdrawn from the program. For late-breaking abstracts, does the congress only permit abstracts that report on Phase 3 [and higher] studies? There are no guidelines/regulations as to which trials or studies can apply for late breaking privileges. We do not restrict late breaking privileges to ‘reports on Phase 3 (and higher) studies’. Could I send my manuscript to publish to a journal in my country before WCLC? If the abstract is published in a journal before WCLC, it may affect his rating. There are no rules that prevent submitters from having their abstract published in a journal before WCLC. Is industry allowed to be in lead or senior author positions on the by-line for WCLC abstract submissions? Does the restriction towards pharmaceutical/commercial authors apply to all abstracts submitted or is it just those accepted for oral and mini oral presentation? Oral and Mini Oral presentations are prohibited from being presented by industry authors. 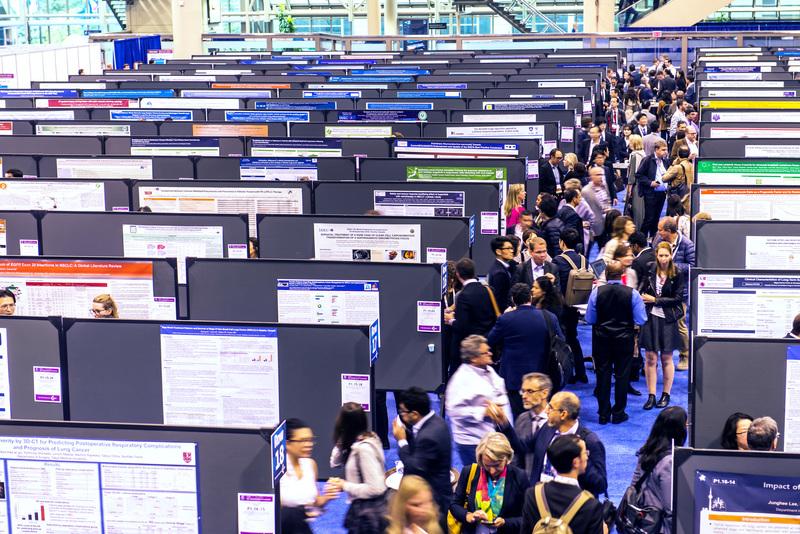 The restriction does not apply for poster presentations since posters are not CME accredited. Would it be possible to submit an abstract without results and conclusion? 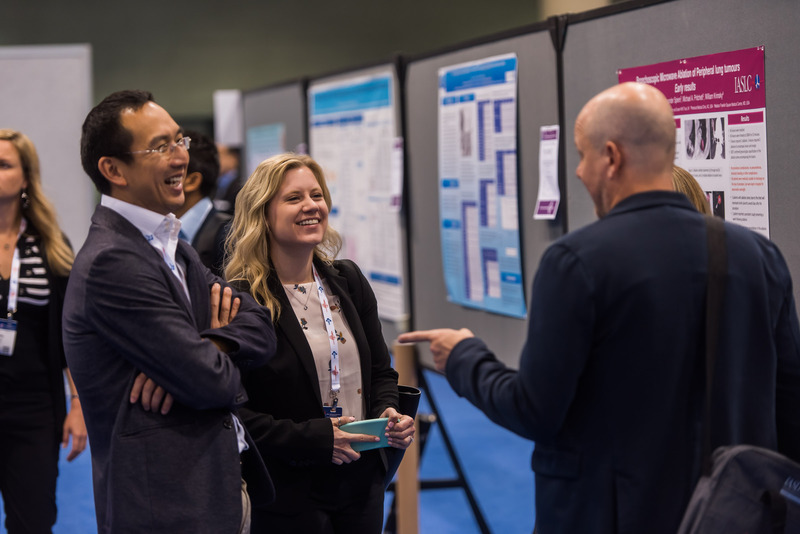 You must submit a placeholder abstract by April 10, 2019. Please note abstracts submitted without results and conclusion may affect the rating of the abstract. Is there a limit on the number of abstracts in which an author can be lead author? There is no limit to the number of abstracts in which an author can be lead author. An individual may not be offered more than 2 oral presentations. Is there any charge for the submission of abstracts, and if so how much is it? No, there is no charge to submit an abstract to WCLC. For inquiries, please contact wclc2019-abstracts at icsevents.com. If your inquiry is regarding a particular draft or submission, please include the abstract ID in your email.